We receive all kinds of cookbooks at DessertBuzz worldwide headquarters from the practical, to big, showy, coffee-table-style books. What I have observed over the years is that it’s very unusual for a book to stand out and separate itself from the pack. Books that have incredible 14″ x 14″ color photos on every page look good in the living room but are often impractical to use in the kitchen or thin on details and guidance. Conversely, books with tons of copy but no photos are frankly, not that much fun. This new (hot pink) volume from Rizzoli seems to score big on both style and substance. That’s why we think this is the second book we have reviewed in the last 3 months that’s certain become part of the cannon of classic pastry reference books. We reviewed the first book, Francisco Migoya’s “Elements of Dessert“ back in December. 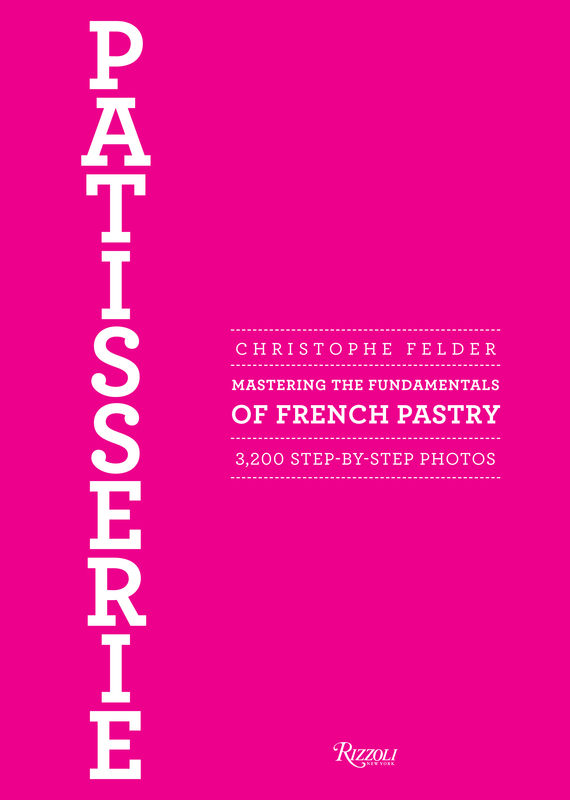 The second book, Christophe Felder’s Patisserie: Mastering the Fundamentals of French Pastry (Rizzoli) was released yesterday but we’ve had an advance copy for a few weeks and have been testing a few of the recipes. Patisserie is a massive volume of 800 color pages and is set up more as a traditional cookbook with recipes divided by category and labeled for difficulty level. Aside from its size one of the most stunning aspects of the book is the detail that it provides. For each of the book’s 210 recipes, there are 3,200 step-by-step photographs so the reader knows what every step should look like. 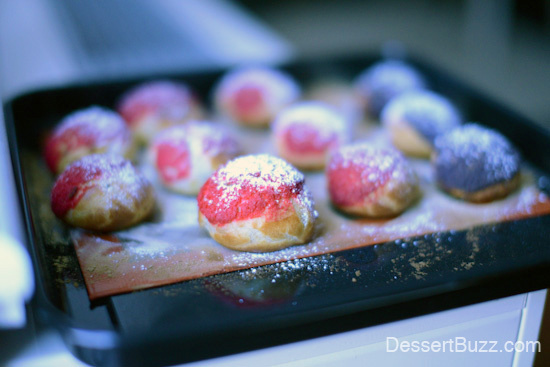 I tested the “advanced” recipe for Choux tricotes (Choux puffs with knitted Jackets). And though I had just taken a class on the classics of French Pastry, I had never made choux pastry myself . The small thumbnail photos of each step were invaluable–I never felt like I was flying blind! I was very happy with the results and I can’t wait to try more of the recipes. The book lists for $55.00 but Amazon has it for $28.89. You can buy the book on Amazon.com here* More DessertBuzz recommended pastry books are here. Follow DessertBuzz on Twitter to keep up-to-date on all NYC pastry news. **Note: DessertBuzz receives a small commission on sales of this book bought through this Amazon link. I fully agree with you Niko. This is a fabulous book on pastry and our library just received it. I plan on getting my own copy to pour over all the pictures despite my promise not to buy any more books! This book is a real keeper!